Lanes reopen after crash on Blanding Blvd. 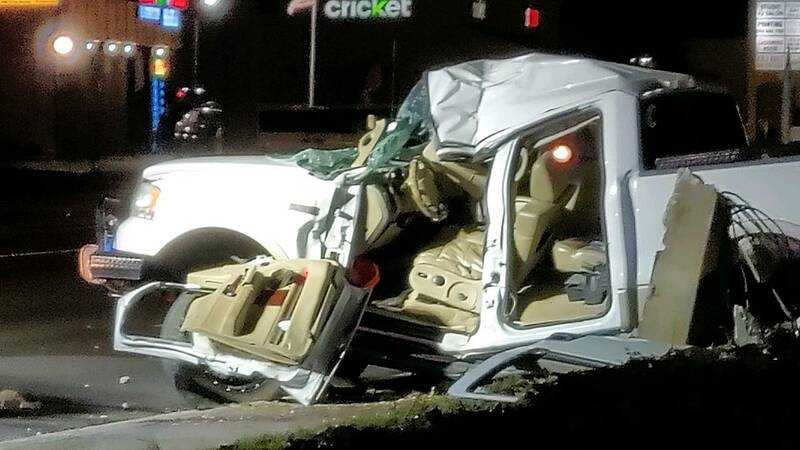 at College Dr.
JACKSONVILLE, Fla. - A crash Monday night blocked southbound lanes of Blanding Boulevard near the intersection of College Drive, according to the Clay County Sheriff's Office. A tweet from the Sheriff's Office said deputies were assisting the Florida Highway Patrol with the crash. The crash appeared to involve two pickup trucks. It's unclear which driver was believed to be at fault. The intersection where the crash occurred ranked 10th on the News4Jax I-TEAM's list of most dangerous intersections in Northeast Florida, tying the intersection of Baymeadows Road and Philips Highway with 30 reported crashes in 2016. According to the I-TEAM study, Blanding Boulevard and Wells Road was the most dangerous intersection in Northeast Florida with 63 reported crashes in 2016.